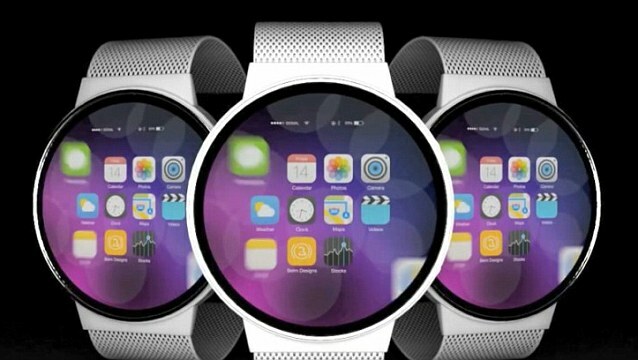 Apple's much rumoured iWatch will be revealed in October, two separate reports have claimed. 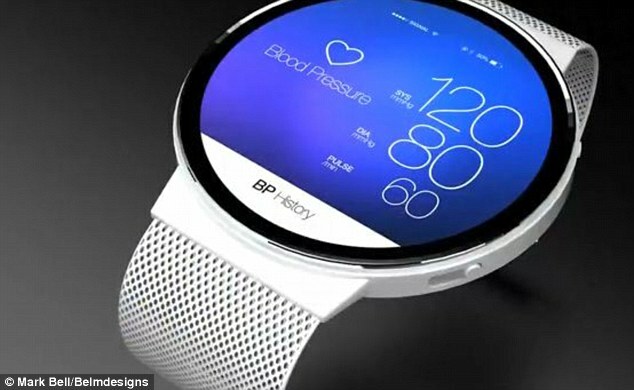 The watch, which is expected to be round and come in both mens and womens sizes, will help track user's health. It is claimed Apple will produce upto 5 million of the gadgets per month. and will be revealed in October. Speculation around Apple's iWatch began at the end of 2012 and a rumoured release date was initially set for the fourth quarter of 2013. 'October. 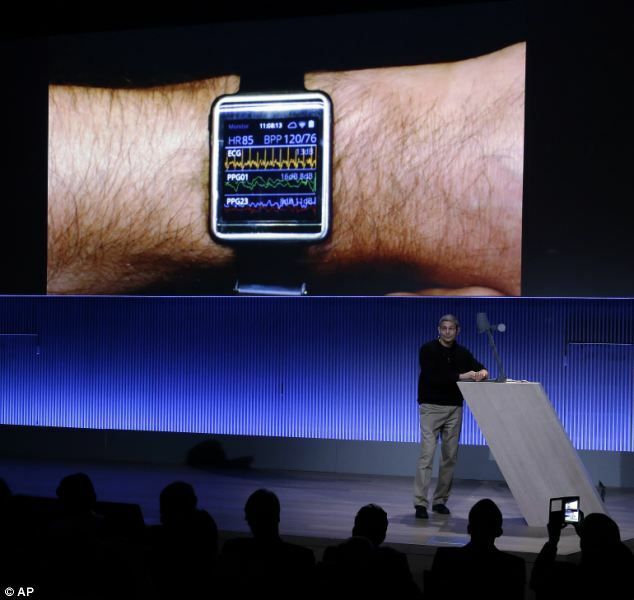 That’s the tentative launch date Apple has set for its first, long-in-the-offing foray into wearable devices,'. Nikkei claims the same date, and its sources say that Apple is so confident in the gadget that it’s looking to produce three million to five million units per month. 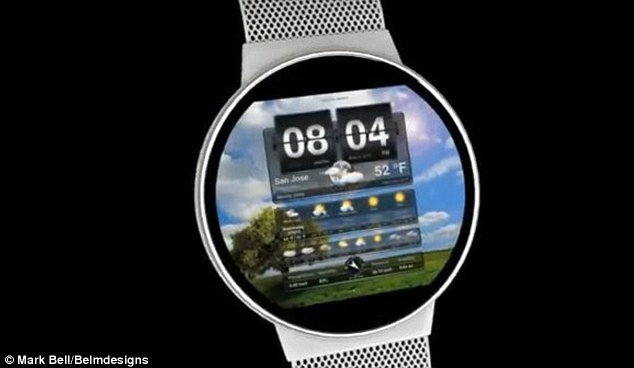 According top Nikkei, the watch will run a version of Apple's iOS software currently found on the iPad and iPhone. 'The new watch-like wearable gear will run on this OS, which will be equipped with a centralized function to manage users' biometric information via smartphones,' it said. During a trip to Taiwan, a New York tech analyst recently said an Apple supplier revealed a number of features of the much-rumoured device, including a rounded face and slim design. This would resemble how the Moto 360 looks - and contradicts previous reports the watch would have a curved, or square screen. The reports were made by Brian Blair from Rosenblatt Securities. According to his supply chain sources, the iWatch will be designed to look like a traditional watch, and move away from the chunky, square look of the G Watch and Samsung’s Gear range. Motorola announced its own plans for a round, Android-powered smartwatch earlier this year and Blair's sources claim Apple’s version will be almost identical, if not a little thinner. Apple’s icons have rounded edges and this would suit a circular face. Blair’s source also confirmed previous rumours that the iWatch would be available in ‘his’ and ‘hers’ models, and will go into production from July. believe Apple could additionally be working on a separate wristband specifically designed to track health. Earlier this week, during the unveiling of its latest G3 handset, LG gave a sneak peek of its square Android-powered G Watch. 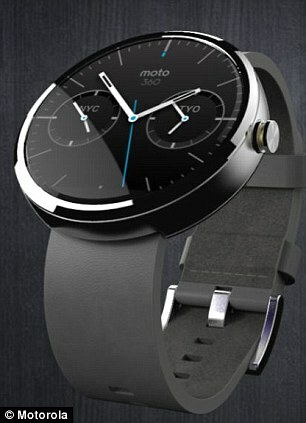 All three - the Moto 360, the G Watch and the iWatch - are expected to launch later this year. It’s likely the Moto 360 will be announced at Google’s I/O in June, and go on sale for £180 in July, followed by the iWatch during Apple’s annual September event. 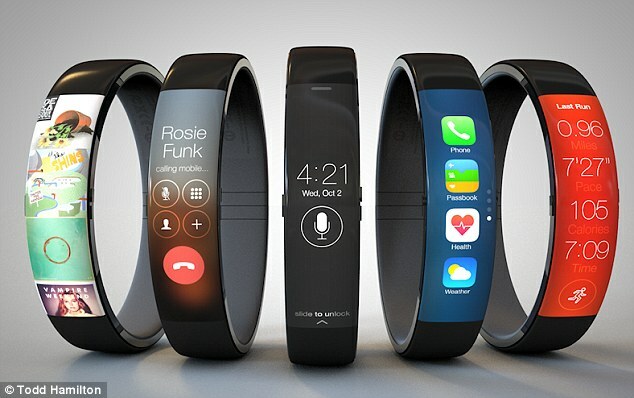 Price-wise, an Apple iWatch may follow the same pattern as Apple’s handsets and sit at the top end of the market. Reports last month even stated it could cost ‘thousands’ of dollars. Although the smartwatches of Samsung and Sony haven’t been as popular as analysts predicted, Blair said orders for the iWatch are surpassing expectation and he forecasts 18 to 21 million iWatches will be sold before Christmas. Last night, Samsung revealed a new smart wristband and announced plans to let manufacturers use the same core components - much like the mobile phone market. It also revealed an online service to track the data - just days before Apple is expected to reveal its 'Healthbook' app for the iPhone. Samsung presented its vision for wearable devices at a San Francisco event ahead of next week's developers conference by rival Apple. There is widespread speculation Apple has been working on wearable devices, and its products tend to use proprietary technologies. However, an open system would be a departure for Samsung as well. Its Gear wristwatches and fitness devices currently work only with Samsung phones. 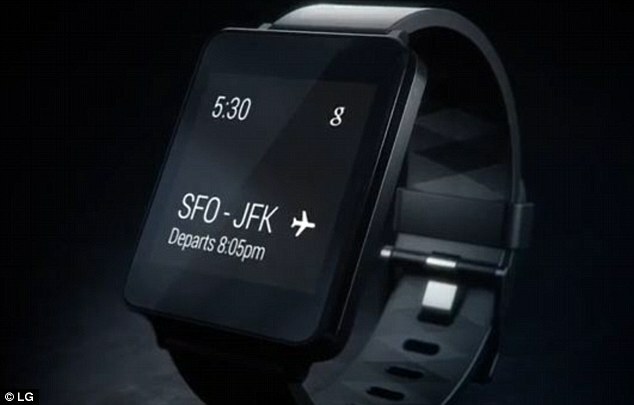 Smartwatches from Sony and other manufacturers tend to work with a wider range of Android phones.